Successfully Added 4 Channel NVR Surveillance System - Support IP Cameras, Speed Dome Cameras + ONVIF Protocol to your Shopping Cart. 4 Channel NVR Surveillance System, which can support IP Cameras, Speed Dome Cameras in addition to supporting ONVIF Protocol, making this a champion at increasing the safety of any property. An incredible way at a cool wholesale price to increase your security and observation over your property is with this network video recorder. 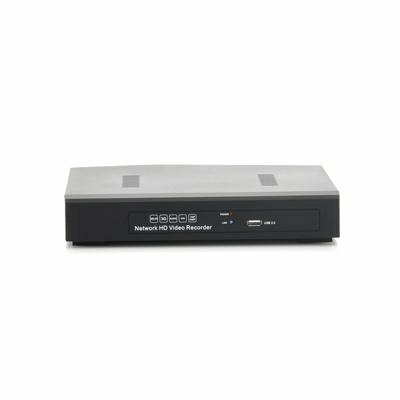 This NVR has 4 channels that means you can connect anywhere of up to 4 cameras to this device giving four sets of eyes on everything and all while all being centralized to this unit. By connecting fours cameras you will get a resolution of 1280x960, however if you choose to, you can 2 cameras working at 1920x1080 and the other two at 1280x720. Network video recorders are separate from digital video recorders because the inputs are from a network instead of a direct connection to a video capture card or tuner. This NVR supports ONVIF protocols, which originates from a global and open industry forum with the objective to create a standard for how IP products within video surveillance and other physical security areas can communicate with each other. 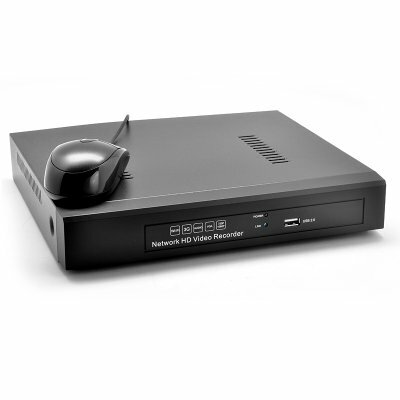 Basically you can manage, record, play back the feed of your cameras over the internet when using this NVR as the video is processed by the camera and streamed to the NVR over the network whereas when using a DVR the video is processed on the DVR itself. Preferably you can connect IP cameras or even speed dome cameras to this network video recorder and use the advancement of these technologies combines. The user can also use their mobile phone to access the actual footage being recorded by the cameras by simply logging on and viewing. This is ideal for when you are away from the premises and want to know what is happening at your property and need to check if things are how they should be. Order now and have it shipped out to you within one working day with a 12 months. Brought to you by the leader in wholesale NVR and DVR security systems, Chinavasion.